Will David Wright be named Mets captain? 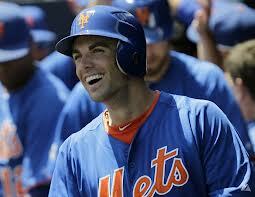 David Wright has been a Mets for his entire nine year career. He is the all time hit leader and is now under team control for the next eight seasons. The next question with Wright is, will he be named team captain? For the first time in Wright’s career he has a legit chance to be named captain according to Mets manager Terry Collins. Sandy Alderson and Terry Collins will ask Wright’s teammates in Spring Training if they think Wright should wear the C on his uniform. The Mets have employed only three captains in their history, bestowing the title on Keith Hernandez in 1987 and making Gary Carter his co-captain 1988-89. 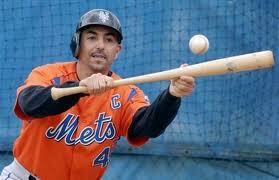 The Mets then awarded John Franco the captainship from 2001-04. Why only three captains? Well the Mets have never had a star player stay with the Mets for his entire career. David Wright has a chance to do that. Paul Konerko with the Chicago White Sox and Derek Jeter of the Yankees are the only two players in the game today to be captains of their teams. It is a big honor because it means you are an iconic figure in the history of the franchise, and when that franchise is in New York, it is even more special. Spring Training is only a month away now so this situation should be resolved relatively soon, one way or another.